Please see attached the Nature’s Gym programme for July-September 2015. I hope there is something in there that you will enjoy! Please be aware that there are quite a few sessions that involve wearing waders and working in the river. At these sessions, we can not guarantee that there will be any work available on dry land. If working in water isn’t something that you feel comfortable with, we understand if you would prefer to take a break for a while. We will welcome you back with open arms once the 3 Rivers Clean Up is over! 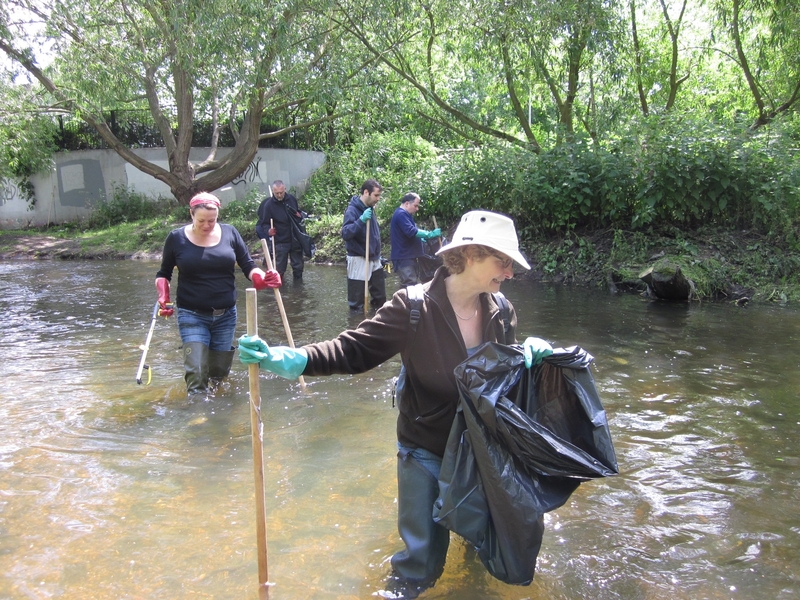 If you would like to join in with these rivers sessions, booking is essential even if you are a regular volunteer. There are other sessions running throughout the week with our partners. You can find details of these events at the 3 Rivers Clean Up website or Facebook page. As part of the event London Bubble will be running two story telling events, one in Ladywell Fields and one in Manor Park. For more information about these events, please visit our earlier post. Join in as well using the hastag, #whatlivesinlewisham on Twitter and Instgram.